Vedic literature is so huge and vast that it is beyond the comprehension of ordinary mortals to imbibe its true meaning. It is a science by itself and you can also call it ‘management know-how’ as it helps one and all manage and uphold Truth and follow rightful paths in the cycle of life and death. It also teaches us how to attain self-realisation, the fulfilment by oneself of the possibilities of one's character or personality. Vedic literature can be classified into two categories, Shrutis and Smritis. Those that have been transmitted orally are called Shrutis or that which had been heard. It is further sub classified as Vedas, Brahmanas, Aranyakas and Upanishads. Smritis are remembered, authored texts that have been revised down the ages of time and flexible unlike Shrutis that are authorless and undisturbed or rigid. Smriti comprises of Vedanga, Shadarsana, Puranas, Itihasa, Upveda, Tantras, Agamas and Upangas. As humans born on this earth, some of our lives may not be bed of roses, we undergo many hardships during this span. The Vedas provide the right solutions to address these issues so that individuals born on earth get relief. The Vedas are considered the earliest literary record of Indo-Aryan civilization and the most sacred books of India. The term means wisdom, knowledge or vision, and it reveals the language of the gods in human speech. The Vedas were handed down through generations by word of mouth and no human being was involved in composing it. It is assumed that Vedic hymns were either taught to the sages by Gods or they were revealed to the sages who were seers or ‘mantradrasta’ of the hymns. These seers only saw and uttered the hymns. The Vedas were mainly compiled by Vyasa Krishna Dwaipayana around the time of Lord Krishna. It is very difficult to trace the origin of the Vedas because it is said that they were uttered by the gods to the great saints of those times and transmitted orally over many generations before they were inscribed on palm leaves. There are four Vedas, Rig Veda, the Sama Veda, the Yajur Veda and the Atharva Veda. Together they are called as Chathurvedas. Each Veda consists of four parts the Samhitas (hymns), the Brahmanas (rituals), the Aranyakas (theologies) and the Upanishads (philosophies). The collection of mantras or hymns is called the Samhita. The Brahmanas are ritualistic texts and include precepts and religious duties. Each Veda has several Brahmanas attached to it. The Upanishads form the concluding portions of the Veda and therefore called the Vedanta or the end of the Veda and contains the essence of Vedic teachings. The Upanishads and the Aranyakas are the concluding portions of the Brahmanas which discuss philosophical problems. The Aryanyakas (forest texts) are to be used by those Vanaprasthas who left society to reside in the forest to gain spiritual knowledge. Rigveda: It is the first testament of the Hindu religious texts and seems to be the world’s oldest. It is a collection of hymns that are contained in 10 books known as Mandalas. This long collection of short hymns is mostly devoted to praise the gods. It also has scrappy information on historical events, like the struggle between the early nomads or Aryans and their enemies. The hymns are the work of many authors or seers called rishis. 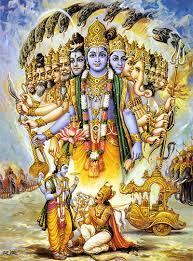 There are seven primary seers identified: Atri, Kanwa,Vashistha, Vishwamitra, Jamadagni, Gotama and Bharadwaja. Yajurveda: ‘Yajus’ means sacrifice and Yajurveda is the book of sacrificial prayers. It contains the rituals of the Yajnas. It is a step by step guide on how to perform the various yajnas or religious rituals. It creates a deeper level of consciousness too. It not only purifies the mind but triggers one to follow the yogic practice. This helps in awakening the inner consciousness which opens up new opportunities of life and existence. Samaveda: It is the rhythmic compilation of hyms of Rigveda, like a musical chant. It compromises 1549 hymns that are meant to be sung by special class of Brahmans called Udgatris. It is somehow correlated with Rigveda and is the shortest. 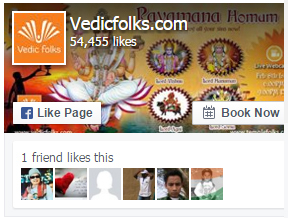 If Rigveda is the word, Samaveda is its meaning. It is the ecstasy of spiritual knowledge and the power of devotion. 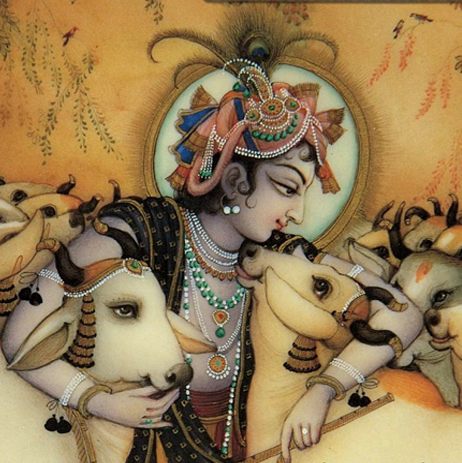 Singing this type of hymns is the best way to appease the gods, mostly Agni, Soma and Indra. A devotee achieves elevated spirituality, grace of gods and also merges with cosmic reality. 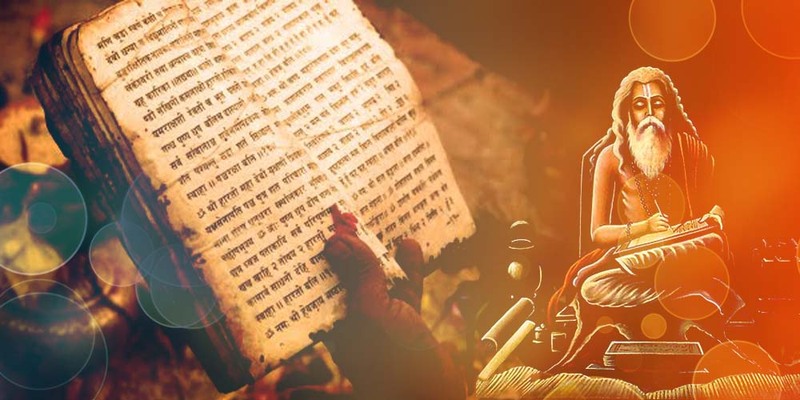 Atharva Veda: Atharva Veda seems to be entirely different from the other Vedas. It deals with black magic, charms and spells, deaths and afterlife that were prevalent in society at that time. Many scholars and mystics of recent times do not consider this Veda a part of the other three Vedas. Priests chanting the mantras of this Veda should be very knowledgeable and take utmost care because of its powerful nature. This Veda is a collection of 731 hymns, containing about 6000 verses. All these are compiled into 20 books. Atharva Veda also covers knowledge on medicine and delves into the cause of various diseases. It has in fact one of the first available literature on the uses of antibiotics. It includes material on warfare techniques like using poisonous arrows, spreading bugs that cause diseases, to deal with the enemy. Brahmanas: The Brahmanas contain legends, myths, notes on the performance of rituals, as well as explanations of particular sacred words from the Vedas and some philosophy. It can also refer to the utterance of a priest or ‘Brahman’. More commonly, it is used to refer to the explanation and meaning of a sacred word. Some examples of Brahmanas include, Athreya, Kaushitaki, Kasthaka, Panchvisha and Gopath. Aranyakas: The word itself denotes forest. These are the concluding part of the Brahmanas. They have no references to rituals or sacrifices but lay stress on meditation and moral conduct. This may be due to the fact that they were written for hermits and their disciples who lived in jungles so that they can deepen their contemplation and meditative practices. Some scholars say that the Aranyakas act as a bridge between the ritualistic Brahmanas and the philosophical Upanishads. Upanishads: The word Upa means near and shad means to sit, that is to sit down near an enlightened guru and learn. They are the essence of Vedas and elucidate the essence of the Hindu scripture. The Upanishads reveal the identity of the ‘atman’ or individual spirit and the Brahman, the supreme soul. They contain sincere revelations of the sages and maharishis. They are known for the highest wisdom, supreme, divine knowledge and possess the quality to inspire. As Smritis impart the practical knowledge of living, it guides and regulates humans on their behaviour and also lists codes and rules governing the actions of the individuals. Upavedas, Vedangas, Puranas, Itihasas, Veda Upangas and Dharmasastras constitute the framework. Upavedas: There are four Upavedas - Ayurveda, the science of health and life, Dhanurveda, the science of warfare, Gandharvaveda, the study of aesthetics and all art forms like music, dance, poetry, sculpture and erotica and Stapyatyaveda deals with engineering and architecture. 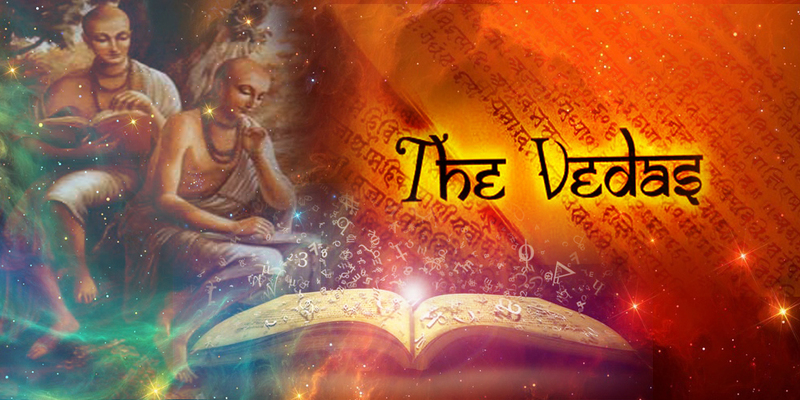 Vedangas: To understand Vedas on the whole, knowledge of Vedanga is essential. Nirukta Vedanga is associated with the science of etymologies, the study of the origin and derivation of words and their meanings. Vyakarana Vedanga deals with Panini Astadhayi’s---an authority on Sanskrit Grammar--- use of a meta-language known as Upadesa to explain the language rules in about 8000 sutras. In Siksha Vedanga, the intricacies of using phonetics, pronunciation and accent have been explained. Chandas Vedanga is the study of patterns of sounds and rhythms in poetry related to Vedic texts. Chandas helps us to ensure the form of the mantra. This cannot be altered or corrected as it would disturb its spiritual significance. Jyotisha Vedanga is the study of astrology and astronomical calculations of heavenly bodies for fixing auspicious dates and timings to perform Vedic rituals and rites. Kalpa Vedanga, kalpa means sacred rule. So, Kalpa Vedanga deals with the methods and methodologies of performing the sacrificial ceremonies and daily household rituals. Puranas: The Puranas were composed to popularise the Vedic religion and contain the essence of the Vedas. It aspires to impress upon the people the teachings of the Vedas and to instil a sense of devotion to God by presenting concrete examples, myths, stories, legends, lives of saints, kings and other historical events. The Puranas were meant for the ordinary mortals who could not understand the complex nature of the Vedas. There are 18 Puranas and an equal number of Upa Puranas. The main Puranas are: Vishnu Purana, Naradiya Purana, Srimad Bhagavata Purana, Garuda (Suparna) Purana, Padma Purana, Varaha Purana, Brahma Purana, Brahmanda Purana, Brahma Vaivarta Purana, Markandeya Purana, Bhavishya Purana, Vamana Purana, Matsya Purana, Kurma Purana, Linga Purana, Siva Purana, Skanda Purana and Agni Purana. Of these, six are Sattvic Puranas and glorify Vishnu; six are Rajasic and glorify Brahma; six are Tamasic and they glorify Siva. Noted among these are the Srimad Bhagavata and the Vishnu Purana. A portion of the Markandeya Purana is well known to all Hindus as Chandi or Devimahatmyam. Chandi is read widely by the Hindus on sacred days and during Navaratri. The eighteen Upa-Puranas are Sanatkumara, Narasimha, Brihannaradiya, Sivarahasya, Durvasa, Kapila, Vamana, Bhargava, Varuna, Kalika, Samba, Nandi, Surya, Parasara, Vasishtha, Devi Bhagavata, Ganesa and Hamsa. Itihasas: On examining the Itihasas, all the fundamental teachings of Hinduism can be easily etched in the minds of ordinary people. By reading these beautiful, inspiring and fascinating stories, we get a clear picture of Hinduism on the whole. Sage Valmiki’s Ramayana and Vyasa’s Mahabharata are the two well-known Itihasas. Dharma Shastras: This deals with the secular and religious law codes of Hinduism, consisting of three subjects mainly, codes of conduct, civil and criminal law and punishment and atonement. Manu Smriti is most important of all and Manu was an administrative demigod and the first law-giver. Manu Smriti contains 2,700 verses divided into twelve chapters. The text also deals with rules of inheritance and adoption, and with law and the science of government. It was said to have been written between 300 and 600BCE. Other important dharma texts were written by Yajnavalkya, Parashara, and Narada. Closely related is the Artha Shastra, a text that discusses the science of acquiring wealth and power. One such popular work is the Artha Shastra of Chanakya (also known as Kauntila), who was the prime minister of King Chandra Gupta. Chanakya also studied many scriptures and compiled an anthology of popular wisdom in the form of proverbs. It is part of the Niti-shastra, which also includes the famous animal fables of the Panchatantra and the Hitopadesha. Veda Upangas: The six Upangas namely Nyaya, Vaisheshika, Samkhya, Yoga, Karma Mimamsa and Vedanta provide a commentary on the essence of the six Vedangas. They point out the abstract principles underlying the practical values of the Vedangas. Nyaya is based on logic and analysis. Its methods are used to understand the Vedas. Vaisheshika is primarily a system of physics and metaphysics which classifies all objects of experience into six categories, and postulates that all objects in the physical universe are reducible to a finite number of atoms. The Samkhya philosophy deals with dualism and that there are only two Truths, the Purusha and Prakriti. While Purusha is everlasting and pure consciousness, Prakriti is substance or realm of matter. The Vedas have not mentioned the word Yoga directly, but the word ‘dhira’ has been registered which means self-realised. The asanas, the pranayama, the mudras and the meditation techniques are mentioned in the Vedas. The asanas are mainly for the purpose of meditation. The surya namaskar or sun salutation was the part of routine activity of sages and their disciples during that time. Sage Patanjali is the founder of this philosophy and is based on the Patanjali Yoga sutra. Mimamsa means to investigate or to enquire. It relates to investigation of the dharmas established by the Vedas. According to Mimamsa, the scriptures are the only way of knowing about dharma and only by following them can we attain Righteousness in life. Mimamsa is of two types Purva Mimamsa which pertains to investigating the prior or earlier sections of Vedas and Uttara Mimamsa that studies the later part of the Vedas. Vedanta denotes the conclusion of Vedas. It offers suggestion on moksha and how to seek liberation through knowledge. It teaches the essence of Brahman and how to realise it. The Upanishads were so confusing and contradictory that many sages of Vedanta school of thought tried to systemise it according to their own understanding. However, Sage Badarayana’s Vedanta sutra or Brahma sutra is the most reliable of them all. Vedanta has four main schools of thought such as Advaita, Visistadvaita, Dvaita and Shuddhadvaita. Adi Shankara, the greatest exponent of the Vedas and belonging to the Advaita School, did not believe in Vedic sacrifices but considered Sruthi as a source of knowledge. He maintains that there exists but one reality as Brahman whose nature is pure consciousness. The most fundamental teaching in Vedanta is that all that exists is divine and that divinity exists everywhere. Divinity manifests itself in a spiritually illuminated soul and for this they should follow different spiritual paths called yogas. 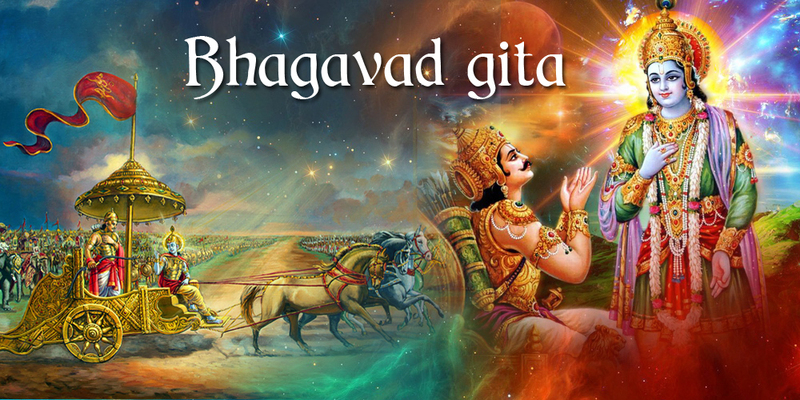 Bhakti Yoga or the path of love and devotion to God, Raja Yoga or the path of mental concentration and meditation, Jnana Yoga or the path of philosophical inquiry, also known as the path of knowledge and finally Karma Yoga or the path of selfless action. © 2019. Folksco Technologies Private Limited. All rights are reserved.